Following its recent launch into the office furniture market, NANO90 has been presented with a ‘High Product Quality’ award at the interzum tradeshow last week. 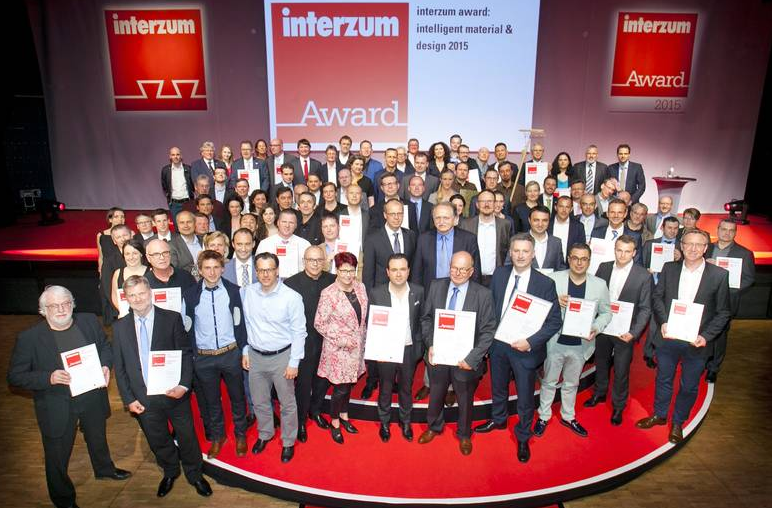 In conjunction with Red Dot (renowned for its international design award), the organisers of ‘interzum award: intelligent material design 2015’ presented 50 exhibitors with an award for good design achievements in form and function. We entered NANO90 into the ‘fittings, glass and lighting’ category for locks, lighting systems and built-in furniture components. 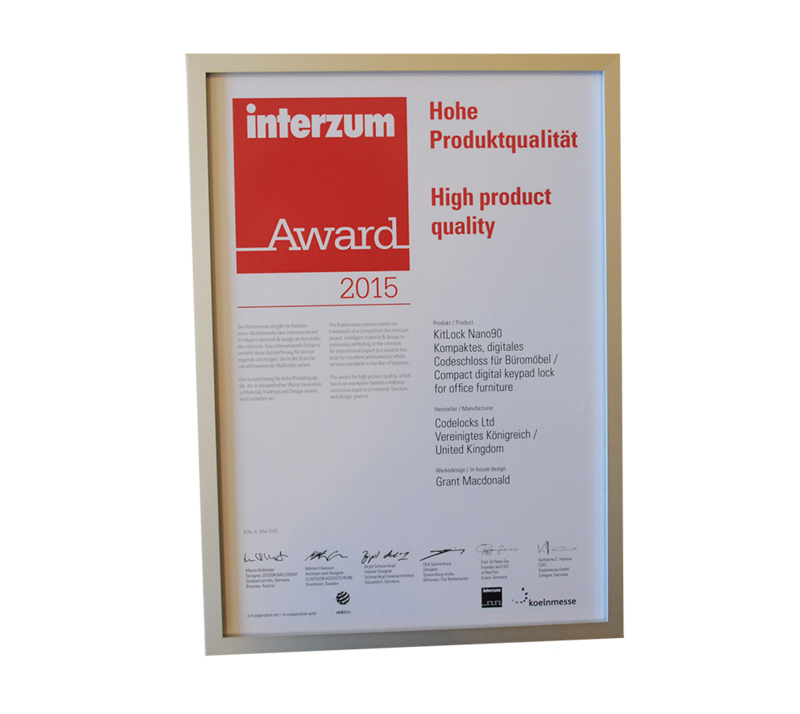 The award was presented to our sales manager Steve Newman at a special event organised by interzum prior to the show. NANO90 is based on our best-selling cabinet lock, but with a much smaller footprint of just 30mm by 90mm. Due to its compact size and the fact it can sit flush to the surface of a desk or cabinet drawer, it’s ideal for many office furniture applications. 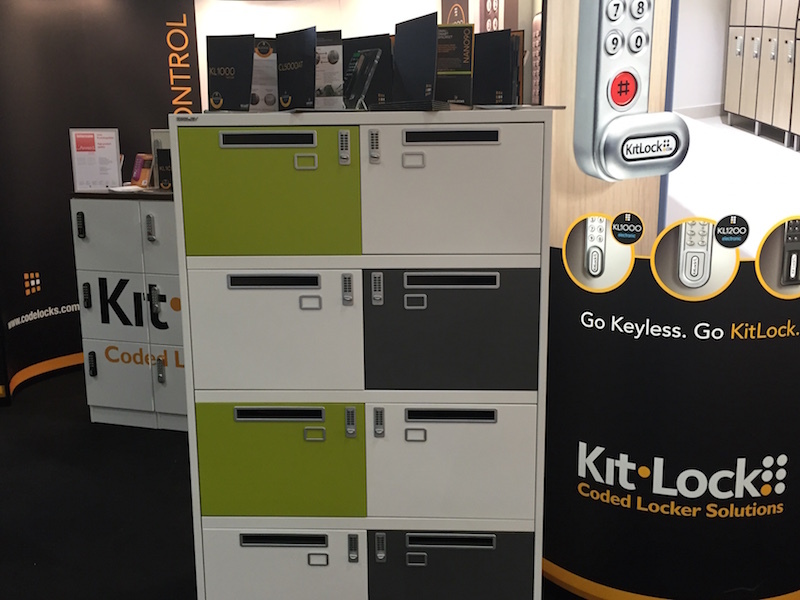 Introducing the KitLock NANO90, a new compact digital lock ideal for office furniture applications.